Do you work for Ableton Live? Learning about Ableton Live? We can help. "Great tool for live podcasting and streaming"
Easy to use software with simple interface. It teached me how to work with sound. I still dont know if it can help me with editing recorded files. It is easy to use, and it does not overload your system. You can get starging version of Ableton Live Lite with few soundcards in bundle. It is great tool for easy mastering audio for your streaming. If you want to appear proffesional take a time and process your audio! I use Ableton Live for processing sound that I feed directly from my BlueSnowball microphone or from Scarlet soundcard. I can adjust level of noise, process vocals for audio and apply nice compression. Than feed it into virtual card and send into FaceTime, Skype, OBS or any other application. "Hard to learn but worth it!" This software can do absolutely anything from recording, editing, mixing, mastering, midi mapping and running live backing tracks. It takes a bit to learn, but once you do, you don't need any other music related software to complete tasks unless you have a personal preference. Price and It's so hard to use :-). I had someone try to teach me and it didn't make any sense. I had to start watching youtube videos to understand what each button does. Once I got over that hump, I was rolling. Have patience with your self, watch a lot of videos on Youtube, and if you know someone else using it, ask a lot of questions. "Ableton Live is the best companion for running live tracks within a performance." Ableton gives you so many options on how to utilize it for live performance, from Key changes to the ability to change the Beats per minute in the arrangement of a song. It gives you a choice to use "Session View" for a less cluttery look or a more classic DAW style with" arrangement view". Ableton has no right or wrong way to use it. It's completely customizable to your preference! There is a Learning curb to understanding how to get things going. Other than that this is one of the most amazing tools for live music I have used. Ableton Live is not JUST a live performance playback interface. It is a full-blown Digital Audio Workstation that comes with its own editing suite. You can use midi controllers to trigger ANYTHING you program it to. Let me once again stress that it can replace an unavailable live musician with prerecorded studio tracks. What else could you ask for? I am a Worship Pastor and when I need a full band to lead worship with me for our Church Worship service, I don't always have all the musicians I need. That is where Ableton Live comes in and rescues the day. It has multi-output capabilities, giving my Sound technician the ability to control Individual instruments from Ableton Live and through the soundboard. It also fully integrates with our presentation software, giving you the ability to control the presentation software through Ableton to sync up the lyrics from the song performance and onto the projector. "I Use It All The Time and Love It!" The conceptual model of how the software works is very easy to understand, making it an intuitive experience. Using loops, creating samples, recording external audio, quantizing.... most of it is pretty easy to grasp without tutorials. I really like that in the side panel you can access tutorials and explanations if you need them. Composing and recording in Ableton live is super easy and super fun. The only thing I consistently have trouble with is audio driver trouble shooting. I use it with a PC and have downloaded the driver AVIO(?). In addition to my Windows sound driver and the AVIO sound driver, there's yet another sound driver I have on my computer. Sometimes for no apparent reason, the drivers switch and I have to stop what I'm doing to fix the issue, sometimes exiting the program. Secondly, I wish Ableton Live were better equipped for mixing and mastering. Other than those things, it's great! This product is definitely for people who think and compose visually. The sky's the limit when it comes to the sounds you can use and and create. Not only is it fun and easy to use, it's an industry standard. You can master the basics pretty easily. Errors are a bit tricky and might require some support, but the support forum and community answers almost every question very quickly and thoroughly. Enjoy! As a musician, Ableton helps me stay in business because.... I can compose with it. Aunque es un gran soporte para realizar grabaciones, mezclas y postproducción de sonido. Live, como su propio nombre indica es una maravilla para trabajar el directo. Una de sus particularidades mas increíbles, es la capacidad de "grabar" las modificaciones que realicemos en tiempo real sobre las pistas de audio para que se reproduzcan el mismo efecto de manera automática al volver a ejecutar el proyecto desde el programa. Otra gran ventaja que presenta este programa, es lo simple que resulta programar el disparo de plugin, sonidos, efectos y/o secuencias pulsando botones de controladores midi, o incluso los del propio teclado del ordenador. A veces cuesta solucionar los problemas de latencia, y cuando los proyectos son pesados se consumen demasiados recursos de memoria, sobretodo con determinados VST. La interfaz no es muy amigable y podría mejorarse mucho a nivel gráfico. Este software es altamente recomendable para su uso en estudio aunque este pensado especialmente para directo. Ayuda mucho a dj por ejemplo o artistas que lleven parte de su espectaculo programado en directo. Nos ayuda muchísimo a la hora de programar secuencias de sonido en directo y programar diferentes tipos de efectos y modulaciones con tan solo pulsar un botón. "Ableton Live: A DAW at its finest. " I love the interface of Ableton, it is easy to access and find what you are looking for as well as a search bar. I love how it connects well with plug ins and samples. I like how you can change quickly between tabs on the main interface. There are a lot of ways to edit and cut and you can make your own edits from the sounds and samples provided. I dislike how expensive the program is for the full version. However, I am glad that they offer a student version which is more affordable but it may not provide features that the full version has. I think if you are brand new to the DAW scene, there may be a learning curve at first, but once you dive in and put in the time, it seems way easier to adapt and learn compared to the other programs. If you plan on doing music production, it is way easier to produce with a controller than your mouse. However, with ableton there is a mode where you can create beats by just clicking on your mouse. The benefits I have realized so far is that if you have a Soundcloud, you can connect through Ableton when finished with a song and quickly send it out on social media. I have no had problems yet. It can also can connect with Splice which offers samples, plugs ins, etc for a monthly rate but when you save files it connects through splice too and you can access that save when you login to splice from anywhere. I've been using Ableton for about 10 years. I love the interface, the different views make it perfect for simple audio editing, looping, or full on music production. I like how you can do so much with this program. You can design your own synths, use their preset sounds, tweak their preset sounds, trigger clips, and much more. The instrument presets are a bit meh. But, then again, that's not their focus. If I use a preset, I tweak it myself. I would totally recommend Ableton Live to anyone who wants to make electronic or loop based music. If you're considering using it for simple audio editing only, maybe go with another program, but if you also do music production in the electronic hemisphere, this is the best program for it. I've exclusively used Ableton Live for about 10 years. Music production and podcast editing. Great for electronic music production, easy for simple podcast editing. I love how easy it is to set up my drum loops for a small worship group. It’s easy to make great sounding tracks for anything we need from a Facebook video sound track, ambient music for events or to supplement our worship band. I love how I can purchase tracks for almost any song and have a great worship set ready that’s sounds professional and helps a group worship without distractions. The change between session and arrangement view was hard to understand. However the tutorial and manual helped. It’s expensive but so powerful. You can take any beat, sample ,clip from any online source and have it match your song in tempo and pitch. Making tracks for online marketing and donor relations. Doing a worship set with musicians who are missing. Having a background drum loop without a drummer. "The Best Change Over I Made "
As an amateur musician, I have found ableton live really played into my knowledge of software. Ableton's online support, with in depth 'How-To' videos, and extremely helpful online articles, I picked up the software in no time. Each sound runs like chops and hits, so it's very easy to understand. Recording straight into Ableton Live is also possible, which can really spice up your live set. Take the time to sit down and learn the programme. Ableton have given you all the tools, it's just a matter of taking the time to use them! I have been able to record directly into ableton, which has eliminated my need for the use of other DAWs which I find frustrating. "great software for making electronic music." it has the capability to produce any type of electronic music you could come up with. it is impressive at track-based recording for solo artists. with this software you are able to queue up and play music as you see it which is why it is called live, but it is an advantage this software has over other competitors. there is a plethora of instruments and music effects to use, which makes it easy to create a unique sound. once you get the hang of the software the ease of use improves greatly and the ability to create music goes very fast and efficiently. the price can be expensive for most average, new users. it is not very well capable for recording multiple musicians at one time. the learning curve is steep, it takes a lot of time to learn all of the features that ableton offers and in order to perfect these features you need to spend a lot of time learning how to work the software. Lots of help from youtube videos and other users on forums helped the learning curve. It can be a tricky software at first but the capabilities are vast. It helps in recording and selling my music. i've realized that the benefits to ableton are capability to produce music in ways i could not do with other music programs. it is a professional program, which makes its credibility very impressive and many other amateur to professional DJ's use this software. Ableton's a really versatile program. It's helpful especially for any and all live performances, but I use it primarily in a church music environment. It's my go to for running click tracks, loops, that sort of thing. It's also lightweight and doesn't put much strain on my aging laptop, so I don't fret about it crashing or lagging during a set. Ableton's interface can be sort of cryptic. Oftentimes it can be tricky to figure out the next step when setting up a set if you've never used it before. This makes training new people on anything more than the absolute basics a bit of a pain. Ableton is used supplement the sound of a live band using pre-recorded tracks and loops. This allows for a bigger, more professional sound with out needing to hire out a bunch of expensive musicians and rent complicated equipment. I can simply program my tracks and sync everything up with a tap tempo and the set runs itself. As a music director, there is no greater tool for enhancing the sound of my ensembles. It is also helpful to have an automated, flexible click track that keeps everyone in sync, tightening up the arrangements and grooves. 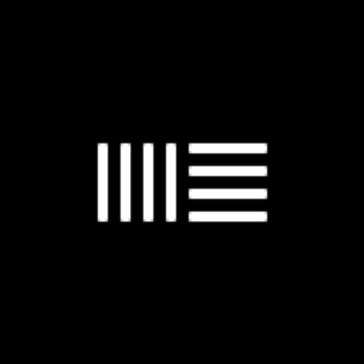 "Ableton Live as a Audio and Midi Solution"
Ableton Live is a powerful DAW capable of simultaneously running various audio and MIDI tracks. We use it for metronome and verbal song cues, as well as prerecorded tracks, loops, and other samples, midi messages to advance slides at the correct point in the song, change preprogrammed lighting cues, among other things. The inherent complexity of a DAW can lend itself to some user unfriendliness. Properly implemented, Ableton Live is a powerful tool you can use to consolidate many functions to one spot, as well as extend control and synchronization to other devices. Or you can use it to make fun beats. That's cool too. Ableton has the capability to interface with a massive amount of hardware for a near limitless I/O capability. We're combining the roles of several outboard equipment pieces into one piece of software. "One tool for both - Live Music and Studio Production"
Unlike most DAWs, Ableton Live has two separate interfaces optimized for sequencing and for playing live sets respectively. It's also a great environment if you use envelopes and curves often. Live natively supports many external controllers, though I have been working without any, and it performs just as well either way. It's also one of the best DAWs if you work with samples or live instruments. It gives more organic sounds compared to other DAWs, most of which are aimed at electronic producers. There is also a great community and YouTube tutorials. There is no intuitive pitch-shift mechanism for midi notes like there is on FL Studio. Scratch-disks take too much space, if you work with a lot of recorded data like I do. The sound engine conflicts with my Windows, causing occasional buggy performance and no-output scenarios. My samples often get distorted after importing and sound sketchy, and I haven't received an effective solution from support or community. You can try for the Students and Teachers Discount of 40%. If you have any controllers or plugins purchased, you might want to check online for compatibility with Live before you make the move. If you're planning to generate synths in FL and arrange them in Live, you can skip the Ableton Suite, as it costs a good deal more. The base software (Live 9 Intro) is priced pretty decently, at $99. I made the move from FL Studio to Ableton, as mentioned above, and found the sounds in Ableton to be more earthy, especially the drum kits that come with Suite. This was an important shift, as it brings out a completely different side of the producer in you. EDM music is only getting more repetitive, and Ableton lets you experiment with a wide variety of sounds for that purpose. I use it primarily to make backing tracks for my video projects. "The best program for editing ever"
Ableton Liv for me is the best software for editing ever made , i tryed different softwares like cubase, logic pro, fruity loops and more and this is far the best one i ever tried. The best part of it is that you can use all the facility of the others programs for editing and also you can use it for play live. There are many Vst that you can find online for free also. Sometimes the Vst and effects that you can buy are very expansive and if you are a beginner maybe you cannot afford a vst for 400 dolars. Just go for it haha , can be a little pricey but if you want a good tool or you want to start record your own songs , this program is the best, very easy to use and very helpfull. It help me a lot when comes to editing music for any projects, from videmaking to electronic music. Plugin compatibility between 32-bit and 64-bit versions is nonexistent, making a wide variety of plugins unusable with the version that performs better (64 bit). I use Ableton to produce original music, as well as mixing and editing existing recordings and compositions. the ease of use accompanied by the flexibility the program offers makes it an indispensable tool for my DAW workflow. Es muy facil programar secuencias para ser lanzadas desde dispositivos midi. Hemos experimentado problemas de latencia y algún chasquido extraño al exportar el máster de algunas grabaciones. La interfaz podría ser algo más amigable con el usuario. Se trata de un producto muy interesante para dj, teclistas, tecnicos de sonido, y cualquier profesional de la música y el directo que necesite lanzar secuencias Y/o efectos en vivo. Programamos todos los eventos que deben lanzarse en un directo, tanto a nivel de procesamientos, como a nivel de intros y secuencias pregrabadas. "You Don't Have to Be a DJ to make good tracks"
Its a very straightforward software to use, sleek UI, great quality and low latency. Great tutorials. Certain features like Warp Mode, and Session view are uniquely well implemented in Live. It's not a touch-friendly interface, so you'll either choose to put up with keyboard/mouse, or buy an outboard control module, of which there are several. It's just something to be aware of. Sweetening (compression/EQ/crop) recordings made live in rehearsals and at shows. Creating tracks, and overdubbing within them, section by section. Syncing MIDI and live material. Making podcasts and getting the right blend of EQ and compression with any kind of mic, is a breeze. I love the simple yet effective layout of the arrangement view. It allows me to drop all my multi- tracks in, add time codes and time signature changes, and marker viewers for smooth seemless transitions. This software does have a bit of a learning curve to it. But with a little time and dedication, anyone will be able to pick it up quickly. Smooth seemless transition from song to song during a live event. Increases rehersal productivity as well. I love the many features of Ableton, and the ease of recording multiple tracks. This is a terrific program for both the beginner and the expert. There's not much I dislike about Ableton. It definitely is a program that can take you as far as you want to invest in it. There is a slight learner's curve. Terrific program. I use Ableton Live to record and send out tracks to team members. I also use it to write and record new songs for both my vocation and personal use. Everything is incredibly intuitive. What makes it stand out, however, is its layout. The synths are not very usable for rockers but that's not much of a negative characteristic. Give "Session View" a try before you go to comfortable ground, which is the traditional "Arrangement View". It allows me to easily and spontaneously come up with musical ideas. It's particularly useful when you've got strict deadlines to deliver jingles. If you want something with real power when it comes to editing audio for live performance my primary go to is ableton live! "tryied it with different music styles..."
a nightmare with every update! reliability is an optional here. What really ate is that Live seems not designed with usability in mind. That's strange for a Deutsch product. Again, electronic producers would say that's the best. I agree with that. Others will say is just another good DAW that is not simplyfing your workflows. Agree as well. one of the most versatile DAW among those offered on the market, i think is the most powerful platform for musicians and DJs who plays live on a stage. Ableton has got a great workflow and is very easy to use it, supports VST instruments and plug-ins, i can use and program my external synth on it. Is great for songwriting, i think is the best for making electronic music. you can work with two different monitors on arrangement window and live window, some years ago this feature was not supported, now it's a powerful thing! There is a thing that during this years never changed: the zoom on a sample, i have to use mouse scroll, i hate it. There is not an mp3 conversion, why not add this feature? Ableton is relatively expensive, i think will be a good idea create incentives for who wants to use this DAW but can't afford that license cost. A lot of controllers and instruments gives limited versions of Ableton Live or discounts for a whole edition of the program, so.. why not allow to accumulate the discounts available? Why is not permitted to use the same license on 2-3 different computers? "Awesome Software for Music production and live sets"
"Ableton and the creative workflow"
Though many DAWs are trying to reach the same basic goals in functionality, they are all suited for specific tasks. Pro Tools will always be my editing station, Logic for film composition. For the most joyful sense of creating something, whether on the fly ideas or complete compositions, nothing feels quite as good as Ableton. While I have jumped between many DAWs over the years, I always feel a sense of comfort and home when I'm using Live. For a freeform approach to sound design, synthesis, sampling and composition, Ableton has the best clutter-free environment that keeps up with the pace of ideas. From routing audio to the diverse set of built-in plugins and instruments, I never feel like anything is in the way of accomplishing an idea. Though I find myself getting excited about what you can do in Ableton a lot more than what you can't, there are a few things that would make it more well-rounded. To me Live is more of an idea machine than a production studio workhorse, which is why I still rely off of either Logic or Pro Tools for heavy lifting in a post production environment. Specifically working with video, Live has very limited options for quicktime movies. While you can import a video file very easily, there are no feet/frames or session frame rates to do precise sound editing. That not being the goal of the software, it is not really a major gripe. The one that I have however rests in the limited use of ReWire, which theoretically would solve the problem. In ReWire mode, all Max for Live instances (which I use a lot of), remote controllers and 3rd party plugins can't be used, which strongly limits a cohesive use of both Ableton and Logic together. Sound tinkerer? DJ? Sample artist? Live artist? Electronic artist? Hands down, Ableton Live. While Logic and Pro Tools may be a bit more well rounded for full audio post production, Nothing else feels as good to create a new sound in Ableton. In addition to production, Ableton Live is also the only platform to use in a live setting, either as a DJ or instrumentalist (hence its namesake). Though I've been able to function as a composer with any other platform, the ultimate takeaway benefit for using Ableton is the enjoyment of using it. While working for a client it is easy to be caught in a web of short deadlines and creative blocks. Being in the right headspace for composition is key, one that is unburdened by these distractions. When you find yourself discovering a new sound or following an idea to see where it goes, everything else disappears, and you're left with a happier experience, and ultimately a better end result. Ableton Live's greatest feature has got to be the session view. Creating loops is super easy and allows you to let your creativity flow without the hinderance of technical speed bumps. It allows for improvisation and a more intuitive workflow. It's a different way to create songs by arranging in chunks of material and triggering them to the beat, as it feels right rather than forcing the progression in one linear way (versus the arrangement view). You can also group tracks together and trigger them as premixes and affect them in unison. The session view really sets Ableton Live apart as a tool that caters to the creative side of music production. The truth is it's hard to think of anything I dislike that's worth mentioning but maybe extending the user interface to allowing more customization with tools like macros, in-depth automatization, and implementing settings panels to quickly access more frequently used actions. However, as I said before, I'm really reaching when mentioning these things. If you're looking for an audio production workstation that focuses on providing you with the best tools to see your inspiration come to life with minimal technical interruptions, this is your best bet. You can play and let yourself go and then arrange, mix, and remix effortlessly and all on the fly. A real winner for someone who needs to follow their inspiration when it hits you out of nowhere. I work a lot in video editing and anyone can tell you that video editings suits are extremely lacking in their audio department. We have a special focus on sound design because a lot of our work deals in music and audio production so having a powerful audio editing tool is invaluable. Working with Ableton Live has really allowed us to showcase the audio aspect of our videos with as much attention to detail as the visual component. It's a versatile, reliable piece of software that we will be using for a long, long time. The user interface of Ableton Live is simple, straightforward, and well organised; I never have trouble navigating the application, and everything remains where I need it. The quality of the interface is made even better by the arrangement/sessions views which add to the amazing live performance features of Ableton Live. There are a few features found in other competing software that I would like to see in Ableton Live, namely around audio routing; I have had much difficulty working with Traktor, Ableton, and Jack Router in unison, especially when trying to manage four track decks with DJing. Ableton makes things simple enough to understand, but makes available to you powerful tools, which near limitless potential. Even with the bare basics, it is a powerful tool to be reckoned with; once augmented with plugins and sample libraries, it becomes the tool we know to be used by internationally renowned musicians. The benefits I have found with Ableton are significant. Before using Ableton I compared it with every other major DAW on the market, and I found Ableton met me at the perfect level, and by adapting to my skill levels I have found it to be a powerful tool that can always take the lengths to which I push it. "One Of the Best Choices For New Artists." Are you serious? There are too many great ones if not the program itself; it's like saying what's your best feature of life. We are all great at more than one thing, I would have to say the program itself. I don't believe in judging people's capacity on what they can achieve, because it's truly unpredictable. The only thing I disapprove of is making it more complex than it needs to be. A writing apparatus, paper, and ink or source, have been the single sources to capture centuries and even more numbers than can be named about in existance in life in this vast universe itself. However it depends on how we use these tools consider this offering of advice consolidate unnecessary options in the background by making complex individual parts adaptable or upgraded configured forms to hold more components in a single cell form. I am solving the single most important thing to me in my universal belief is this. There is nothing we can't create and then solve it to it's fullest completion. Even after everyone has given up there is one thing they don't have that I do. It's something that hasn't developed a word for it for it does not exist in text. I have realized that "keep doing what you've always done, because one day you'll get it". Ableton provides a great environment for quick concept generation. The intuitive looping capabilities and innovative Session view provide a fantastic means to experiment with layering various parts of a composition. The included effects range from useful and utilitarian to more experimental and cutting edge. The addition of Max4Live brings virtually unlimited possibilities for customization. Ableton functions as both a Rewire host and slave so it will play well with most other DAWs. It also supports both VST and AU (mac only) plugin formats. Three versions are offered to target varying budgets and levels of expertise. Control surfaces and third party plugins are disabled while working in Rewire mode. Changing a send to Pre fader does so for all tracks. Personally, I don't like editing or mixing in Ableton, but I know many people love using it. This program is most appropriate for those wanting to make loop based music. If you are wanting something more linear for simple recording, editing and mixing I would recommend ProTools, MixBus, or Reaper. Ableton provides a great contrast to more traditional linear Digital Audio Workstations. "I've been a proud user of Ableton Live for the past 8 years. " I can't think of much. Live's native audio effects are amazing, but I would love to see even more that remove the necessity of using 3rd party plugins such as Waves. New distortion features in filters, and the Glue Compressor were a great step in this directions. The pros of this product almost completely overshadow any cons from my perspective. To new users of Live, I highly recommend spending time with the software and provided tutorials. I remember being a little confused at first by the Session vs. Arrangement view, but it's definitely worth digging into this a little bit easy on to really harness the power of these two ways of creating and thinking. This software allows me to create music like I was never able to before, especially during the sketch phase – to conceive of music in wholly new ways, not facilitated by other programs — it also allows, and even encourages finishing music, which I feel is unique among Digital Audio Workstations. Recently, through the addition of Link, Ableton has further enabled me to gather people together to create music in a more communal scenario and on a wider variety of musical devices. This program allows me to create flexible music – i.e. music that doesn't adhered to a strict and predetermined order or timeline – which is highly valuable in the creation of art installations and pieces that run for long periods of time. The Session View. I build whole tracks in session view before I send to arraignment view. I'll get it as close to the finished product before i start recording into arrangement view, where i finish the song like i normally do. I also love that it is very compatible 3rd party samples and clips, and have built a huge library of 3rd party tools. My dislikes have been not being able to use Max for Live on a mac due to compatibility issues with java. I also wish there was more customization with the look and feel of it. But, its not a deal breaker. Its a great and powerful piece of software. Its priced right, and if you were debating between this and another, I would definitely recommend Ableton Live as the way to go. Cant wait to see what they do next! Well it allows me to create a complete offering to a client, from graphic art, to digital 3d design, to a finished video with audio and sound effects, all done in-house. This software allows me the freedom to create electronic music, as well as more traditional sounds, even including methods to make the sound "more human". My clientele have always been satisfied. "Ableton is easy, wonderful and completely intuitive to a first time user. " Ableton's session mode is an all new experience while producing music or scores for your films. Breaking away from the linear arrangement view, this session is all about being more at ease while looking at pieces as different clips. Ableton is a very reliable software when it comes to using third party vsts and audio units. With it's own sound pack and instruments, one barely needs to look at other third party additions to produce music. Nothing really. Ableton as a software fits the need completely. A definite go to for all music production needs! I use Ableton Live to produce music for films I make or my own music production. Ableton as a software gives me complete freedom and control over how I would want to use it. From playing DJ sets to live performance, or even a mix of both- this standalone beast is 100% reliable. "Ableton Live is a great tool for in-the-box musical production, with live capabilities"
The fact that Ableton is meant to be implemented in both production and live situations makes it a very powerful tool. Compositions can be made with live situations in mind, or can be created with in-the-box recording as a goal instead. But whatever the primary need of the user, Ableton is a very useful tool. Used in combination with other audio workstations via Rewire, the possibilities and functions of the program grow. The Ableton user interface is quite different from many other digital audio workstations, and from my experience, if the use did not learn Ableton as their first introduction to digital audio workstations, it is a bit harder to get used to the loop-based, small-sectioned units used to create and play music with Ableton. For electronic, DJ, or live playing of produced music, Ableton is nearly a must-have. Its versatility and live, clip-based functions make it a staple of modern electronic music performances. If live implementation from compositions is a goal, Ableton Live is a great way to begin that process. Ableton is a music industry standard for live electronic music implementation, and having the program in your arsenal will give ease to transferring projects into a live setting. "Ableton is changing the way people make music"
I like how fluid the production process can be on Ableton. The warping, sampling and looping options allow for a lot of combinations and improvisations as a live electronic musician. Their pairing with Max (for Live) is a great way for them to expand sonic capabilities and attract other demographics who are interested in creating things using Max or Max MSP. Honestly, Ableton is an endless software and you can get incredibly detailed with your productions or recordings. Since Ableton is set up completely differently than most traditional DAWs, the learning curve can be steep. Wrapping your head around scenes and clips can be quite confusing for traditional musicians used to recording in something like Pro Tools. With that being said, since Ableton has so many endless features, if you're willing to put in the time and read the tutorials and watch instructional videos online, your quest for knowledge will pay off tremendously. As a live electronic musician, Ableton has allowed me to sample from my most beloved analog synths and recreate parts using midi and audio clips without having to lug around expensive synths that don't do well on the road. This has saved me a lot time and money and fear of equipment getting damaged or stolen. That it's the only DAW where you can produce and play live sets. It's very simple and easy to use. I learned to use this program on my own, without any music knowledge. The GUI is very clean, therefore making it easy to layout sounds and compose. I played a live show after 4 days of use. Warping allows you to make more complex live sets with virtually any number of channels or clips playing, and being a DAW, you can use VST effects on those sets which make your sound more unique. The lack of shortcuts and the not very intuitive drawing mode. The preset library is a bit small and the instruments are not outstanding, neither the sound coming from the audio effects. Use JBridge for integration of 32 bit VSTs. My use of the program is entirely personal. "Ableton Live is simply THE BEST DAW on the market. Period." Ableton Live lets anyone work in the way that they feel most comfortable. Are you more of a linear thinker? No worries! You can easily edit on a left-to-right linear timeline! Do you work better when you're creating clips and loops? No problem! You can create your work in bits and pieces, and jam the whole time, recording your sequences as you go! The only thing I didn't originally like, was that the entire program was designed to only capitalize on a single monitor, but that's recently been updated, so that concern is irrelevant! Nothing to dislike! You literally cannot find ANYTHING on the market which is better than Ableton Live. It's feature-packed, and easy to use. The default plugins are better than most additional paid plugins, and are so quick to search through and implement into your mix. The UI is pleasant and efficient. Support is stellar. It doesn't get any better than this! I work with audio and video constantly. Ableton Live is chock full of features that allow me to edit, time-stretch, and sequence on the fly, and do it with unprecedented accuracy and efficiency. I've used every DAW under the sun, and nothing in all my years has been as "natural" as Ableton Live. "From First Steps to Finalization"
Ableton Live 9.5 is an excellent DAW (Digital Audio Workstation). The layout is intuitive and not overwhelming. The program opens up with built-in tutorials and has a useful "Help View". You can follow the lessons and learn the different aspects of the "Session View" and "Arrangement View". In this version of Live, I found the GUI to be a little boring. The Playhead also stops when you click on anything during playback. I understand that these two things are improved upon in the 10 Release. Read the manual and enjoy the cheekiness! I am able to correct audio timing quickly and can edit to video in this DAW. "Limitless control of musical capabilities"
There's virtually limitless control of musical capabilities. It works well with other programs (reason, logic, etc). It easily controls existing music tracks while also creating new ones. It's a complex program that takes time and training to learn. The user interface could use some improvements to prevent mistakes being made without realizing it. There's lots of buttons that can screw things up if clicked and this can happen very easily without realizing it. Our church needed a program to run background tracks during worship sets and this program can control each instrument independently. The possibilities in Ableton 10 are limited only to ones imagination. Using only native effects, instruments and MAXX for live you can create pro audio with ease. Inuitive GUI and fairly easy to navigate. My favorite features include audio to midi and audio to midi slicing!! Can your DAW do that? deadmau5 and Skrillex are the two biggest names in EDM because of this beautiful software. So what’s stopping you? Almost too many options - makes it hard to commit to one sound. Occasional crashes and glitches, but ableton support is awesome!!! Ease of use and quick turn over for my jingle company. I’m able to dial up a variety of my templates and can get to making music ASAP!! it seems to be that ableton live 9 it's such a friendly program. has a very useful guide wich explains how to create a track for recording audio, make a percussion patron, use a loop, create a midi instrument and to bounce. way more explicit that other programs. until now, i have not an issue with ableton. it helps me to create demos, to record many instruments guides for may teaching lessons and for my own use.